Thousands of ancient ceremonial pipes have been found in North America. 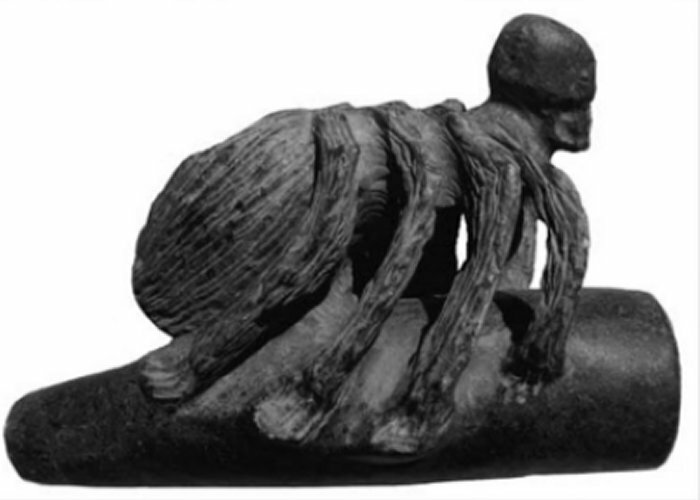 What makes the spider pipes unearthed in Tennessee unusual is not only their appearance, but also the possibility that these artifacts were not made by Native Americans. What were the pipes true purpose and how can we explain their bizarre shape? “In the history of every nation, we may observe such cycles of growth and decay in the sphere of the plastic arts, as a study of Egyptian and Greek sculptures and of European paintings will immediately reveal. The mound-builders were the ‘Old Masters’ of the Indian tribes,” Dunhill wrote in his Pipe Book. The largest number of ancient pipes have been found around the Mound City, Ohio. These artifacts are believed to have been created by the Hopewell culture that occupied the area between 200 B.C. To 400 A.D. Ancient smoking pipes were made in the image of various animals such as frogs, birds, snakes, grasshoppers, lizards and others. Dunhill believed the likeness of animals was linked to Native Americans’ totem worship. In the articles, Monumental Totem Poles Of Native American People Tell Stories Of Ancestors, published on Ancient Pages, was examined the importance of totem poles among Indians. The word ‘totem’ is derived from the Ojibwe (Chippewa) word ‘odoodem’ meaning “his kinship group“. 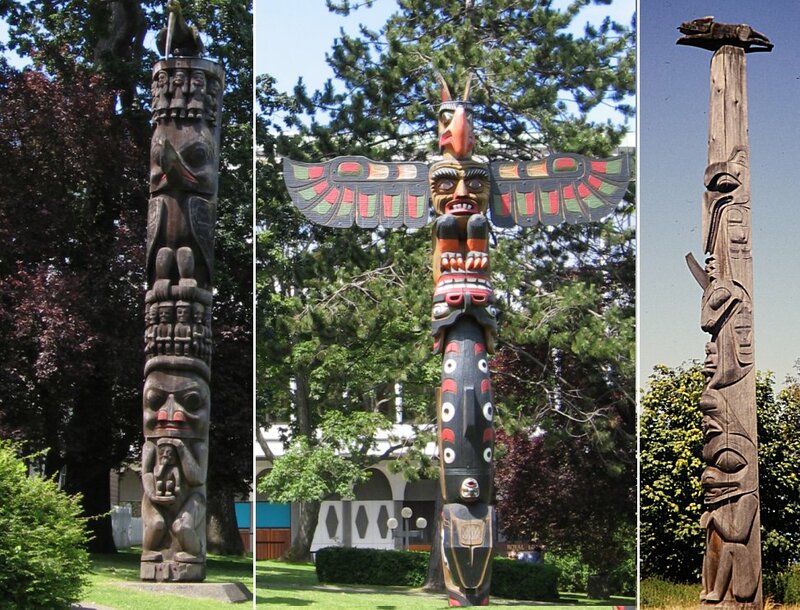 Carvings on the totem poles included birds, fish, animals, insects, plants and humans, but also other animals – shapeshifters – that could transform themselves into another form and supernatural beings such as the Thunderbird, which was sent by the Gods to protect humans from evil. Looking closely at the spider pipes unearthed in Tennessee, it obvious the creator did something unusual by combining an animal with a human skull. What was the purpose of the spider pipes? Were they really created to be used as ceremonial objects? Were they used by shamans who needed to enter the spirit world for the purposes of healing and guidance? This could explain the odd carving, mixing a spider with a skull. Interestingly, there are other pipes in North America that also pose intriguing questions we cannot answer. For example, Iowa’s once-famous Elephant Pipe is often considered to have been carved in the image of an animal with a long proboscis, yet the last pachyderm to roam North America died before the end of the last ice age, 12,000 years ago. Such unusual artifacts leave us with two possibilities. Either we have misinterpreted the animal, and it is not an elephant at all, but as skeptics suggest a long-snouted tapir, or the artifact is much older than we can possibly imagine, and it was made by an unknown ancient civilization we possess no information about. Who says North America isn’t full of ancient secrets?